Whilst we are all aware of the age differences between the generations, we might not have thought about how our age bears any relation to our investments. However, the number of years you have left to invest can help you make the right decisions about how much and where to put your money. The financial habits you form during these years will determine whether you have a secure retirement, or will have to work later in life. Investing at an early age, rather than keeping all your spare cash in a bank or building society account that pays low rates of interest, can be a good long-term strategy. Assuming greater risk can in return offer the prospect of a bigger return. You have plenty of time ahead of you to ride out the inevitable peaks and troughs in the stock market and to recoup any temporary losses you might make. However, if one of your financial aims is saving money for a short-term project like a house deposit, to reach this goal you may want to opt for less risky investments. These are likely to be your peak earnings years, and it makes sense to build up your pension and investments, and make sure you have plans in place for your retirement. These can also be the years when there are greater calls on your cash, such as raising a family or taking care of elderly relatives. It’s important not to overlook your own needs whilst looking after others, and having a regular financial review can ensure you keep your investments on track. Remember, you only have so many working years left to provide for your future. Not so long ago, many people would stop work and stop investing in their 60s. Today, more people than ever are working on past what would once have been considered normal retirement age. So, you may want to keep investing, gradually focusing more on income-producing stocks and shares as you wind down to retirement. Plus, you may be more concerned than you were in your younger days about protecting your wealth from the vagaries of the stock market.In short, you may want to adopt a lower risk profile. Whatever your age, getting good advice can help you make the right investment choices for your future. Each year, more and more students and their families think seriously about the financial outlay involved in taking a degree course. With several universities outlining their plans to increase their tuition fees to £9,250 a year, further education can be a considerable financial burden. Data from the Department for Education shows that graduates aged 21 to 30 earn on average £6,000 more than non-graduates, with the median pay in 2016 for graduates being £25,000 and for non-graduates £19,000. A recent survey1 by a major insurer suggests that going to university could provide a substantial boost to your pension fund by the time you reach retirement. An average degree could add £43,800 to your pension fund, whilst a first-class degree could boost your pot by £57,000. A post-graduate degree could push the figure to £72,000. The figures assume that the individual is enrolled into a workplace scheme at age 22, and they and their employer make minimum contributions until they reach 68. So, while it may take a typical graduate at least 11 years to pay off their university debt, the benefits can accrue in later life. A recent research study shows that Britain’s grandparents hold over £400 billion in wealth. The bulk of this wealth has arisen as a result of the continuing rise in property values. Elderly couples with homes will pass down on average property worth £400,000 to £500,000 to their offspring, with the money they leave behind set to benefit four or five recipients. Based on just over a million people who fall into this category, this equates to a substantial “wall of wealth”, much of which will be passed on to grandchildren, though with elderly care costs potentially eroding this in some cases. 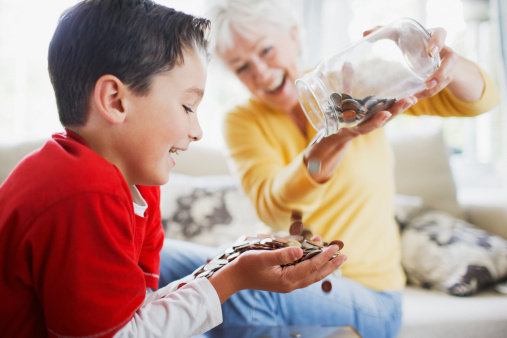 Contrary to public opinion, there is little evidence that these grandparents are planning on spending their kids’ inheritance. In fact, they feel under pressure to help the next generations and are more focused on passing money on than they are on consuming it themselves. It seems that this cohort is acutely aware of the challenges faced by the millennial generation and is keen to help them with the big financial challenges in their lives, like getting onto the housing ladder. Those millennials lucky enough to have home-owning parents and grandparents are in the fortunate position of being able to buy a property themselves. However, this doesn’t apply to all, and many who form part of what has been dubbed “Generation Rent”, may find themselves in this position for many more years than would have been the case a few years ago. Since the early 2000s, high house prices, weak growth in real incomes and greater controls over lending have all combined to make home ownership harder, despite a long period of low-interest rates, competitive mortgage deals and various government policies designed to help first-time buyers. The number of 25-year-olds who own their own home has more than halved in the last 20 years. If you would like advice on how to pass your wealth on to the next generations, then do get in touch. 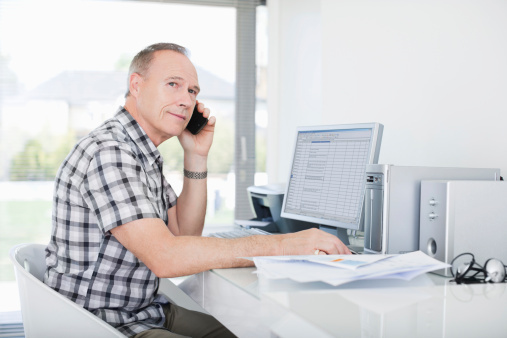 Today, there are 1.2 million people working beyond the age of 65, according to recent figures from the Office for National Statistics (ONS). Whilst some enjoy what they do and are continuing to work out of choice rather than necessity, others feel compelled to keep working because financially they can’t afford to stop. Research from the ONS also showed that there was a clear difference between the jobs that older men do in retirement and those carried out by women. Men tend to be in managerial and senior roles, including directorships. Women, by contrast, are often to be found in lower-skilled posts working as cleaners, carers or secretaries. The state retirement age is currently 65 for men and about 64 (and rising) for women, but this is set to change further. In 2020, the retirement age for both men and women will be 66, and by 2028 it will rise to 68. With life expectancy rising, more people are doing their sums and realising their savings aren’t sufficient to provide for a comfortable retirement. Putting any spare cash into a pension plan makes sense, whatever your age. If your employer offers a workplace scheme, as virtually all now should under the pension auto-enrolment regime, check whether you can make increased contributions. Your employer will be paying into your pension too, meaning your pot will get a boost. You could also consider taking out a personal pension. The tax relief is well worth having and under current HMRC rules means that if you put in, for example, £800 this would be topped up by tax relief to £1,000; higher rate taxpayers can claim further relief. When you reach 55, you can take 25% of the fund as a tax-free lump sum. If you haven’t given your pension savings much thought, then this could be a good time to get in touch and get some advice about your finances in retirement. When Theresa May called the General Election, she was quick to make it a Brexit election. Her rationale was that with a stronger majority behind her, she would be better placed to negotiate a favourable settlement with her European counterparts. With the election over, the time has come to return to the task of unravelling our ties with Europe. So, what stage have we reached and what is likely to happen next? On 29th March this year, Theresa May invoked Article 50 of the Lisbon Treaty. This was done in the form of a letter delivered to the President of the European Commission, Jean-Claude Junker, and signalled the start of the process of the UK’s departure from the EU. Starting from that date, the UK has two years to negotiate its exit. In the meantime, the four core conditions of our membership remain unchanged. This means that during this time we must allow the free movement of people, capital, goods and services. The EU parliament has already confirmed its negotiating position, stating that EU citizens’ rights, the fair and equal treatment of EU citizens living in the UK and British citizens living in Europe must all be upheld. It has also said that any attempts by the UK to negotiate trade deals with individual EU countries, or with countries outside the EU, before its exit would be considered a breach of EU law. EU heads and officials have been quick to say that on its departure, the UK won’t be able to enjoy the same access to the EU internal market as it does now. There is, of course, the knotty problem of our financial commitment to the EU. This is likely to become one of the most hotly-debated issues, with media estimates of the final bill currently ranging from €20bn to €100bn. Whether you are a newcomer or a seasoned investor, one of the keys to successful investing is having an annual portfolio review. It’s essential if you want to ensure that the stocks and shares you hold are still in line with your investment objectives. Failing to keep an eye on your investments might mean that you are exposing yourself to more risk than you would like. When your portfolio was set up, your holdings would have been selected in line with your risk profile; however, with the passage of time, their performance might signal a need for change. that have made a good profit and look for new opportunities that increase the spread and diversity of your portfolio. 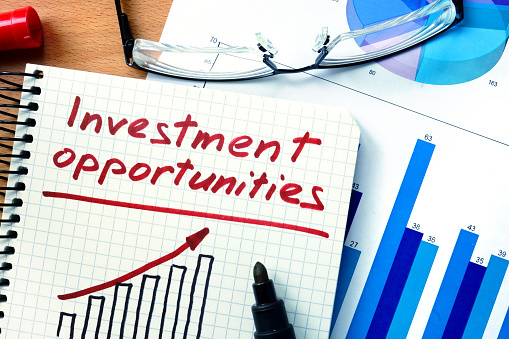 If your situation has changed, then perhaps your investment goals have too. If you have experienced major changes in your life, like getting married, having children, redundancy or divorce, then your attitude to risk may have changed. If you’re approaching retirement, you may want to change your focus from investing for long-term growth to investing for income instead. While investing means looking at a five to ten-year horizon, and not letting short-term market volatility cause you too much concern, forgetting to review your portfolio could be foolish. If it’s been a while since you last looked at your investments, why not contact us to arrange a review? Thanks to the changes in pension legislation that came into effect in April 2015, those who have defined contribution pension plans have more choice available to them than ever before. When they reach 55 they have a variety of options; they can leave their pension plan untouched, purchase an annuity, take an adjustable income (flexi access drawdown), take their cash in instalments (uncrystallised funds pension lump sum), or take their entire pension pot in one lump sum. Many people are still finding the options open to them confusing and some are making choices that may not be the best options for their circumstances. Here’s some general guidance on accessing your pension. Some people are withdrawing considerable sums from their pension and putting the cash into a deposit account. With interest rates low and inflation rising, this will erode the value of their savings. Options like income drawdown allow you to take the amount of money you need, leaving the rest invested in your fund. Taking your whole pension pot as a lump sum could be a very expensive mistake. Although the first 25% will be tax-free, the rest will be added to your income for that tax year and could mean that you find yourself paying a much higher rate of tax and you will be left with a lot less money for your retirement years. Before the rules were introduced, it was in effect compulsory for most people to take an annuity, but this is no longer the case. Annuities have become steadily less attractive as rates have dropped substantially. There are other options to consider, such as only using part of your pension to buy an annuity to produce a secure income to cover your essential outgoings and considering other ways to produce a retirement income, such as income drawdown. Don’t be tempted to take high levels of income from your pension, or withdraw large lump sums or make choices that will help your family more than you. When making decisions, you need to think about your income needs for the rest of your life and possibly your spouse too. With life expectancy on the rise, you could have many years ahead of you. Your pension pot is probably your biggest asset after your home, so it makes sense to get good advice when you’re thinking about taking money out. Our advice will help you see the bigger picture and plan effectively for the future. Fees and tax treatment depend on the individual circumstances of each client and may be subject to change in the future. 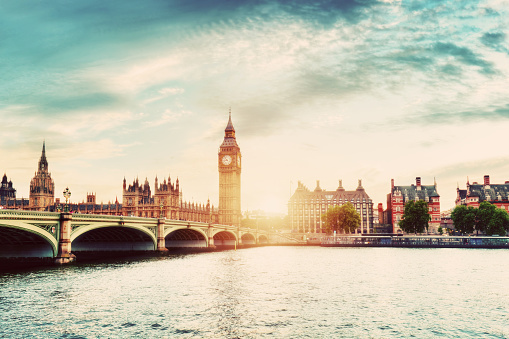 When the general election was announced, one of the measures immediately put on hold was the proposed increase in probate fees. The planned fee structure would have meant that estates valued up to £50,000 wouldn’t have incurred a fee, whilst those worth more than £2m would have been faced with fees of £20,000. It was widely viewed as a wealth tax and heavily criticised in the media. An executor appointed under a Will gains the necessary authority to distribute the deceased’s estate by obtaining a grant of probate. Currently, there is a flat fee of £215 when an application is made by an individual, and a fee of £155 if it’s made by a solicitor. According to the Ministry of Justice, the steep rise in fees is needed to provide funding for the Courts and Tribunal Service. This means that another source of revenue will be needed to replace the projected £300m in income that the change in fees would have generated. We will follow up on this story as events unfold.